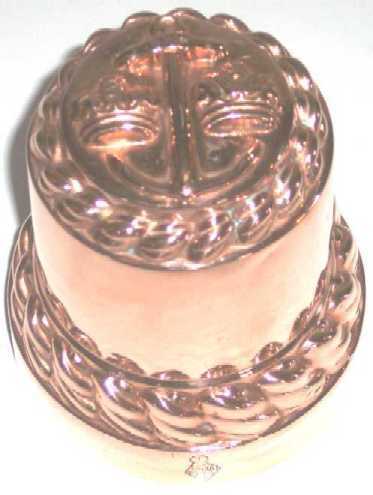 Wonderful English Copper Mold with a central Anchor design flanked by two crowns. The Mold bears a British Registration Mark indicating its date of manufacture as May 12, 1874. Condition is Excellent. Size is 5-1/4" dia. x5-1/2" high.